Spiky hair is no longer an attribute of rebels. There are many ways to pull off this look in everyday life. We are going to show you how! Spiky hair is something that every fashionable man needs to play around with at least once in a lifetime. We are sure that with these trendy examples you will not be able to resist the temptation! It is true that every season brings in something new. However, there are styles that remain trendy no matter the decade. 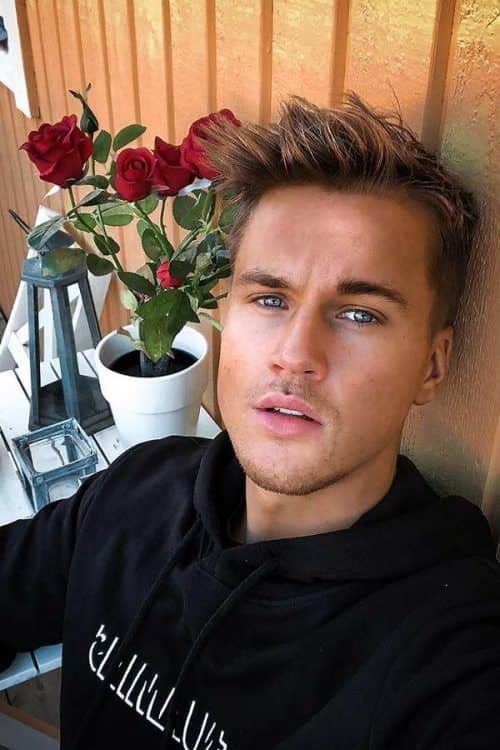 When you think about spiky hair, it is more than obvious that this style has been in for a while now and it does not seem to be going out any time soon. On the second thought, there is nothing weird about this fact. The truth is that spiky hairstyles are the ones to bring masculinity and edginess into your look. That is why if you are looking for a new twist to be added to your style – we suggest you take this compilation into consideration. One thing can be stated straight away – there is a spiky hairstyle for all the hair textures, so no worries here! 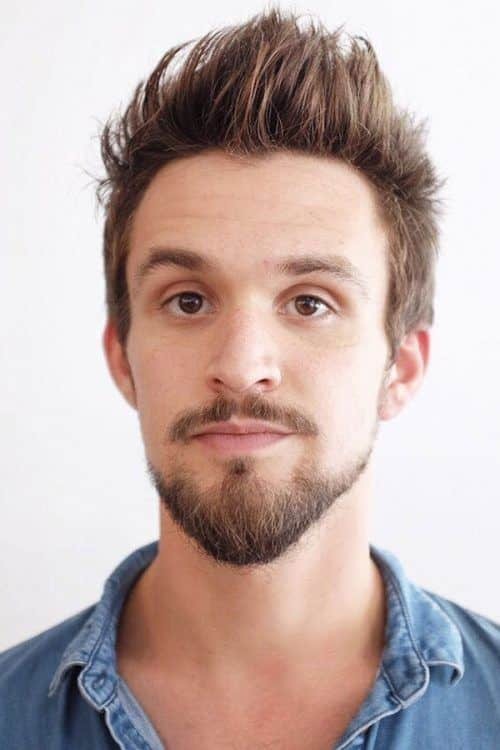 Just before we start our journey into the world of spiky haircut ideas, it should be mentioned that there are certain things to consider first. The thing is that unlike many other mens haircuts spikes require shorter sides and longer top. The length and the shortness as well can be chosen according to your own preferences. What is more, we are going to share with you a fair share of examples to think about. However, we figured that you need to be warned about this peculiarity straight away! It is not a secret to anyone that fade haircuts have been on the edge of popularity for a while now. That is why we suggest to your attention this stylish spiked hair style combined with a fade. 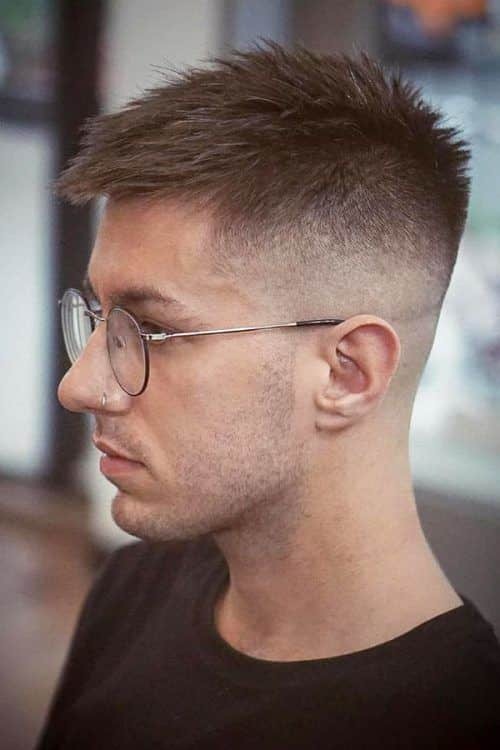 This particular style will fit those of you who do not like to spend much time on styling since due to the texture of the hair your cut will always look its best. To tell you the truth mens shot haircuts are always the most required. That is why short spiky hair is going to be that perfect new twist added to your good old style. Besides, just a little of the product is necessary to keep your hair in place. 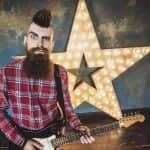 The undercut is genuinely one of the most popular mens haircuts these days, but not everyone is ready to go as far as to pull off an undercut. That is why shortly shaved sides are the perfect substitution to play around with. What is more, a longer textured fringe will make you look stylish and manly at the same time. Fohawk is definitely what you need when you are in search of an edgy hairstyle but without sacrificing the length. All you need to do is to comb down the sides and take up the top. A little bit of hair gel or hairspray will keep the haircut in place. 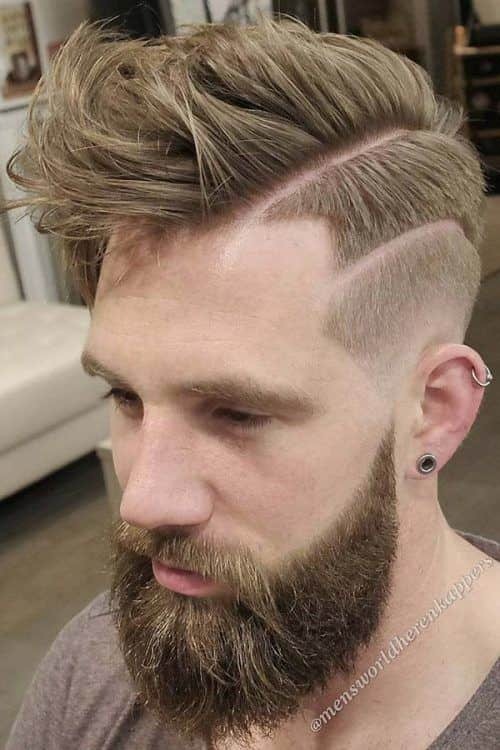 There are hair cuts that are relatively new to the world of men hair fashion, but they are already acquiring those fresh and stylish twists. As you may have guessed pompadour fade is clearly one of them. However, the difference between regular and spiky pompadour lies in the way you style it. The key point is to take a few strands out just before the hair product settles in. The truth is that textured cuts are the ones to offer you the most versatility. The range of styling options is close to being unlimited. Besides, when you combine tapered hair with mens fade haircuts, you will surely have no rivals out there! 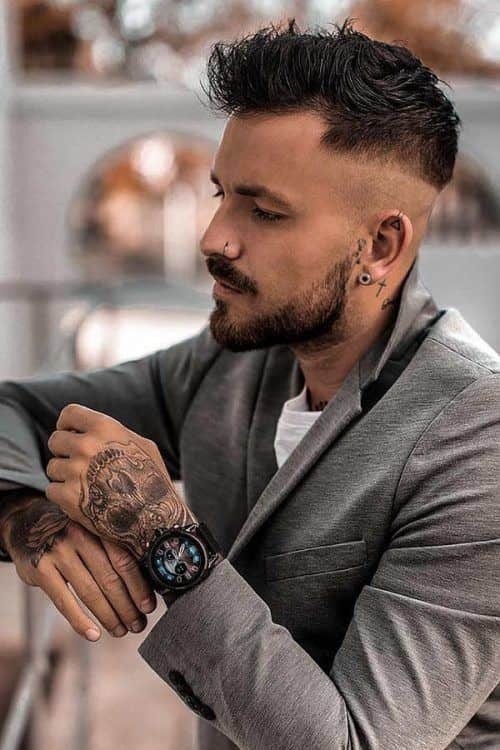 In case you are looking for men’s haircuts that combine super long and short hair in one – we may have something in store for you. The thing is that among all the types of haircuts for men this spiked one may be surely the best. However, you need to keep it in mind that a fair share of styling is going to be involved. When it comes to wavy hair, it is often considered that there is a limit to hairstyle men can pull off. We say that is not true. You can easily pull off spiky hairstyle with your curly mane. The key point lies in the way you style it. You are going to need to work some hair product in, especially in the top section of your hair and then some hairspray to fix it all. There you go! Those of you who are in need of short spiky haircuts to deal with widow’s peak – we may know of one. The thing is that in order to draw away attention from the widow’s peak it is essential to decrease the length on the sides and style the fringe up. As simple as that! There are some perfect ways to accent your spiky hairstyles. When the length on the top is not enough, we suggest you opt for a hard apart. However, when that is not enough as well – a double hard part haircut is precisely what you need! Those in need of medium haircuts for men may as well appreciate this side-swept one. Among all the guys haircuts it looks carefree and is easy to master since very little or none of the hair product is not required. Just like all the haircut styles for men, spiky hair needs proper styling, and we are going to help you with that as well! Wash your hair first and towel dry it. Use your favorite styling product throughout your hair. Make sure it does not gather up in one place. Grab your hair and start making spikes out of it. Repeat the garbing procedure if necessary. Use some hairspray to fix your hair properly. Spiky hair is back in town, and it is important that you know how to pull it off properly. Today we are going to talk about various cuts involving spikes as well as we are going to tell how to style it properly. Read on!